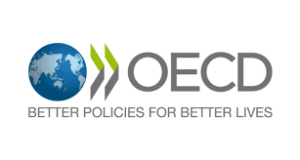 A new report published by the OECD (2nd July 2018) looks at the features of good career guidance practice, including the need for schools to begin early and the essential role of exposure to the world of work. It looks at the need for, and delivery of, career guidance in OECD countries. “Young people have more decisions to make than before – many more students stay in education beyond the end of compulsory schooling – and they are making these choices in the context of a rapidly changing labour market. It is timely for countries to think afresh about how career guidance is delivered in schools. Research evidence, while still imperfect overall, has improved considerably over recent years. Evidence on the educational and economic returns related to career guidance is growing, providing valuable insights for policy and practice. Prominent amongst these is that effective career guidance includes extensive engagement from people in work (employers, employees, trade unions, professional bodies). At its best, such exposure to the world of work enriches career guidance by presenting young people with authentic and trusted insights into jobs and how it relates to decisions about education and training.  Career education in which students learn about the world of work and develop career management skills through classroom teaching, and through other activities (OECD, 2010).  Career information on courses and occupations, learning and career opportunities, progression routes and choices, as well as information on where to find help and advice, and how to access it (OECD, 2010).  Individual career counselling on a one-to-one basis, providing specific advice on career decisions; either pro-actively (mandatory interviews for all) or reactively (on demand). Advice can be general or targeted (Watts, 2009).  Direct contact with the world of work to give young people first-hand insights into, and experiences of, the labour market in order to raise, broaden and inform career aspirations (Hughes et al., 2016).  Provide regular opportunity for young people, from primary education onwards, to reflect on and discuss their prospective futures.  Allow students to consider the breadth of the labour market and particularly occupations which are of strategic economic importance, newly emerging and/or likely to be misunderstood (such as the skilled trades).  Undertake school-wide approaches, bringing on board career guidance specialists, but also teachers and school leaders, as well as parents, and people in work.  Provide easy access to trustworthy labour market information and advice/guidance from well-trained, independent and impartial professionals in advance of key decision points.  Recognise that the ways in which young people think about jobs and careers are shaped by parental influence, their social background and sense of identity, addressing information asymmetries about specific professions and challenge gender and ethnic stereotyping.  Target young people from the most disadvantaged backgrounds for the greatest levels of intervention.  Continue to develop evidence in this policy field, using robust methodologies, including longitudinal data, to provide better evidence for the outcomes of policy interventions. This is a very timely report given the need for greater awareness and investment in career guidance activities that complement the work of teachers, employers, volunteers and mentors. “What do you want to be when you grow up?” this is precisely the questions that the OECD asked to half a million 15-year olds in PISA 2015. The paper looks at the results and found that most 15-year-olds already have career plans: only around 15% of them have not decided what they want to do. But one in three cited one of just ten jobs, and these aspirations rarely reflect labour market demand. Choosing is hard. But how to broaden young people’s horizon, and make them consider alternatives? This is where employers come in. Through career talks, and job visits, and more, young people can be introduced to some of the choices they will face in their learning and professional pathways. The theoretical arguments are very clear: direct contacts with people in work are a good complement to other types of school-based guidance services (such as filling in and discussing a questionnaire about preferences and interests). People in work have the capacity to provide young people with insights and experiences which is difficult for schools to replicate. These contacts have a distinct value, and are valued by students and teachers, and rewarded by the labour market. Employers too value the opportunity to promote careers within their organisation or sector. Choosing is hard, but it is harder for some more than others. At age 15, PISA data shows that career expectations are patterned, by social and immigrant background and by gender. Disadvantaged students are significantly less likely to want to work as professionals than their more advantaged peers – even after statistical controls are put in place for academic abilities. That means that young person from a working class background can be expected to have lower career ambitions than a peer who does just as well academically, but happens to be from a middle class background. But employers’ engagement in career guidance can help address some negative stereotypes about different paths. Students and their parents often have few opportunities to observe and experience different jobs, and this is often the case in the more technical, technological and scientific fields. In practice, it can be challenging, and participation can be limited. In the PISA study, only 27% of students reported that they had participated in an internship programme and about 37% had shadowed a worker at his or her job.